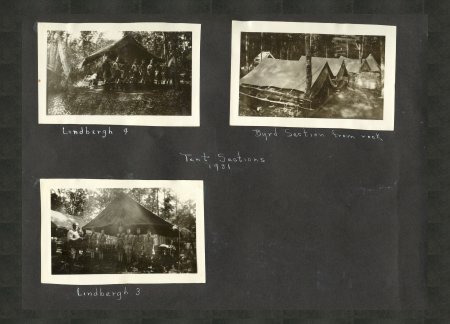 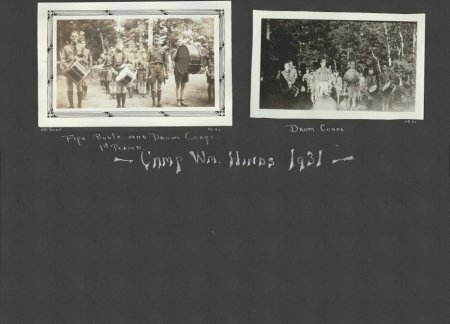 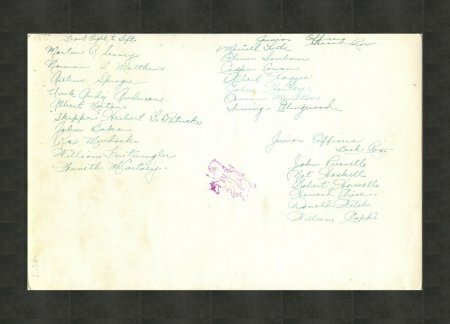 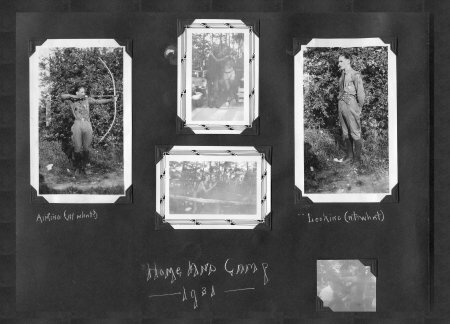 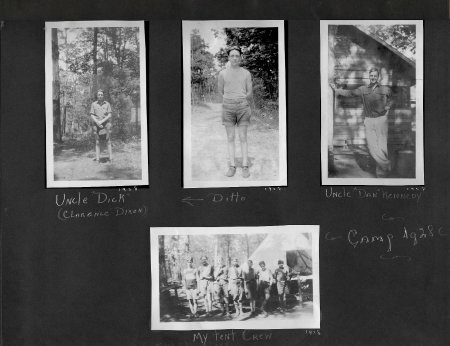 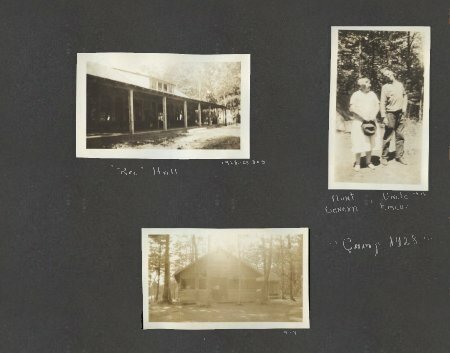 H. Merrill Luthe was a camper at Camp Hinds in 1928, 1929, and 1930 and was a member of the Camp Hinds staff from 1931 to 1934. 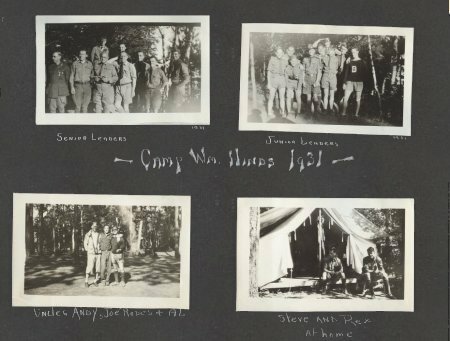 The following are pages from his scrapbook. 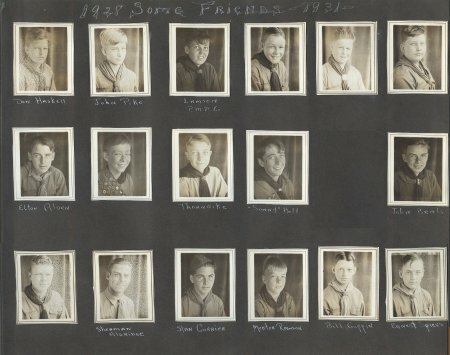 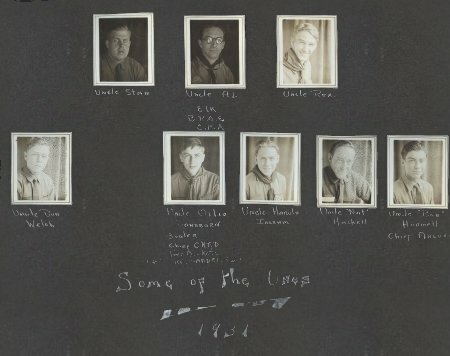 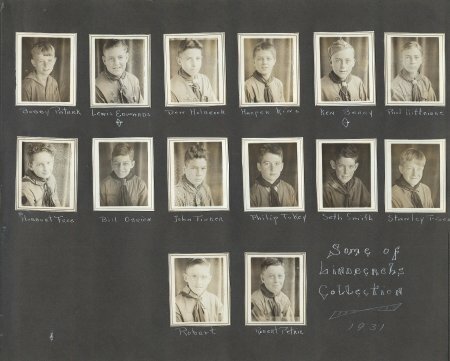 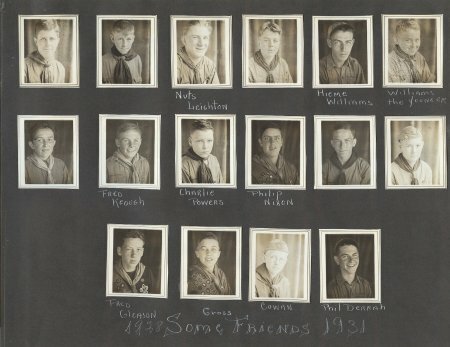 Most of the pictures are from 1931 but some are from 1928 & 1934. 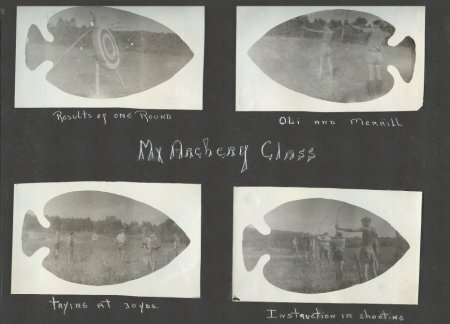 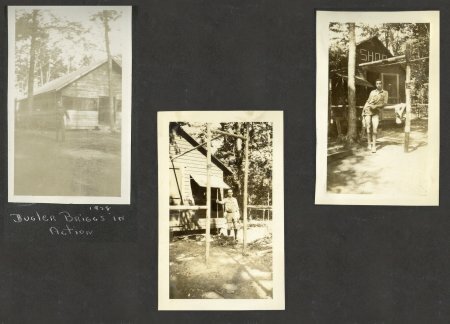 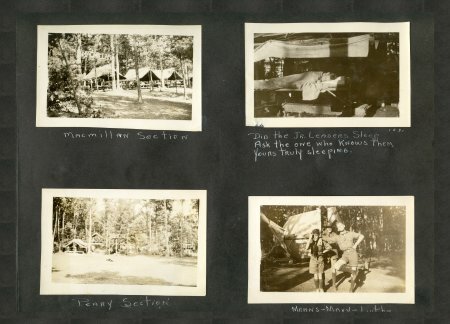 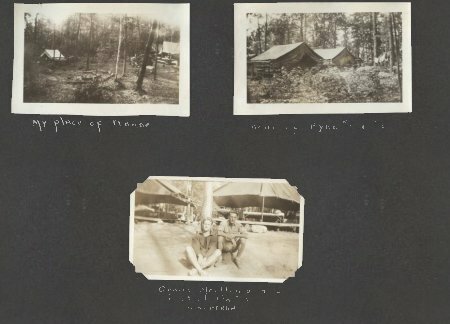 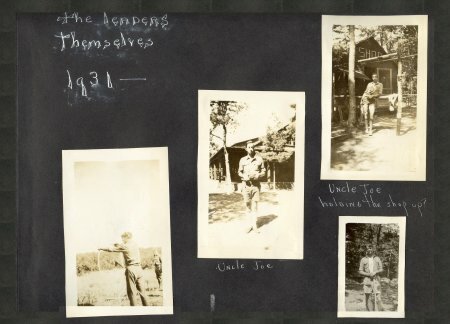 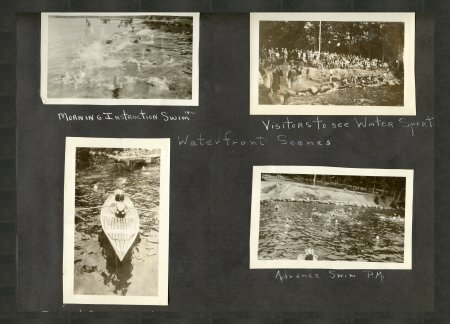 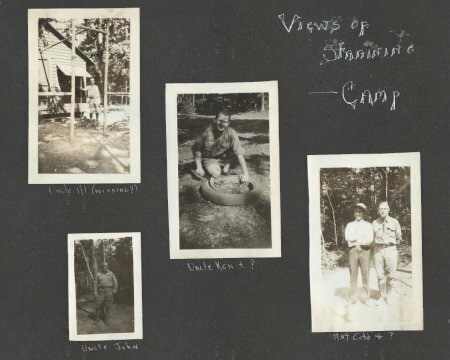 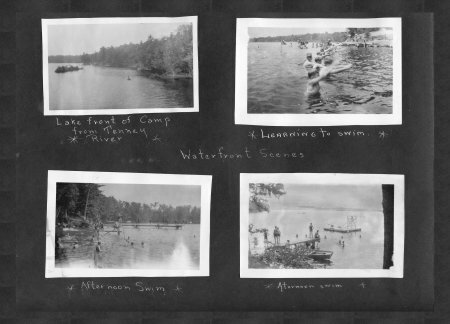 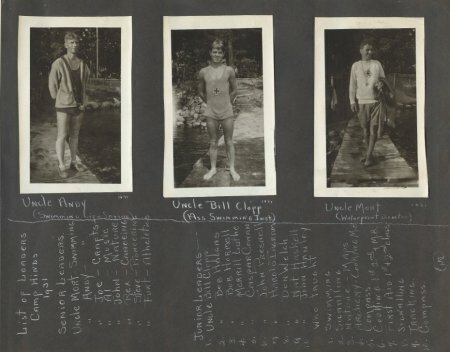 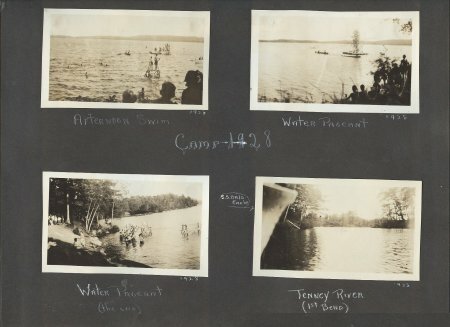 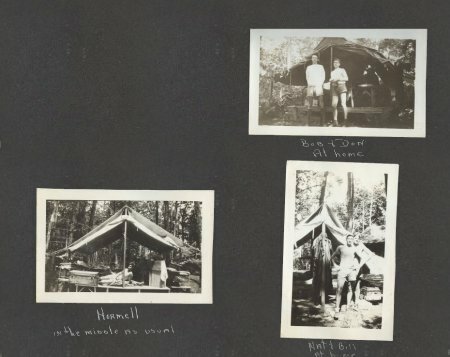 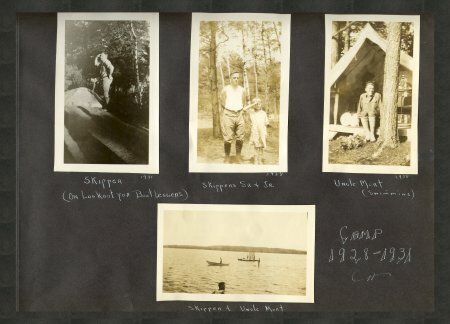 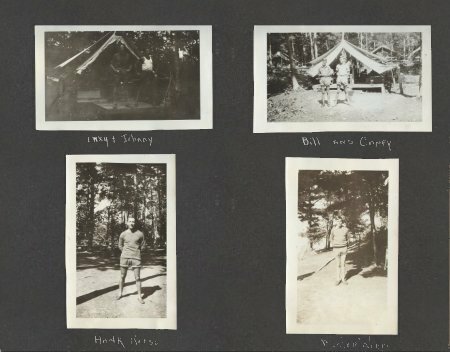 The pictures at the right are Merrill in 1931 when on camp staff and in 1965 when he served as council president. 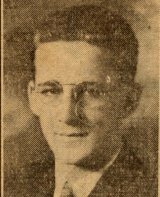 He was born in Brooklyn in 1914 and moved to Westbrook 6 months later. 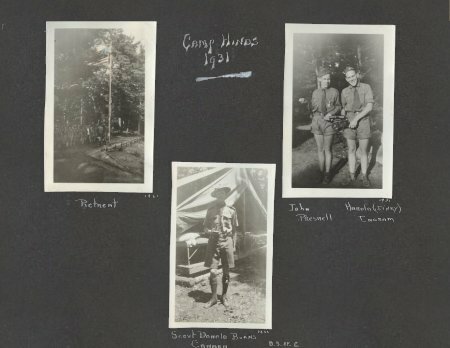 He received his Eagle Scout in 1931 as a member of Troop 2 in Westbrook. 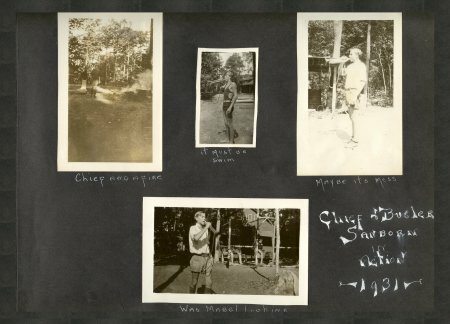 After earning the rank of Eagle, he earned his Bronze, Silver, and Gold Palms. 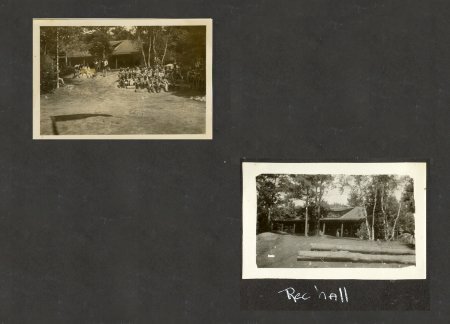 As an adult he was a Assistant Scoutmaster of Troops 27 and Troop 84 in Westbrook; Scoutmaster of Troop 84 from 1935 to 1941; and later became a member of the council executive board, serving as council president from 1962 to 1965. 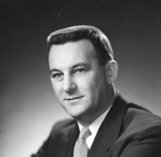 He was inducted as an order of the arrow member around 1965. 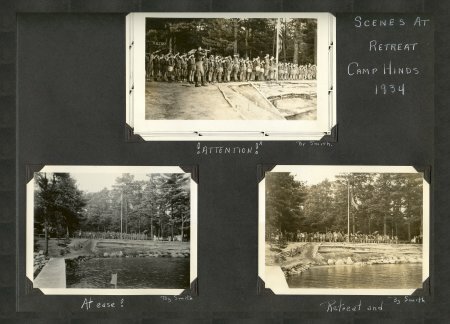 His ordeal service was supervising the reconstruction of the council ring seating, and he was proud of the fact that he did not talk to do it, although he had been told that he could break the silence as needed to keep the work moving forward. 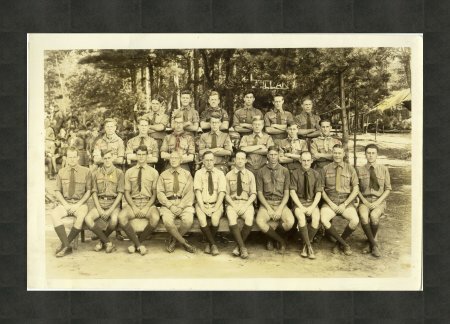 For his many years of service he was presented the Silver Beaver by the Pine Tree Council. 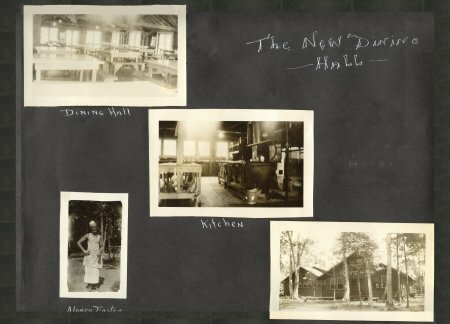 His career was as manager of the Palmer Spring Company in Portland. 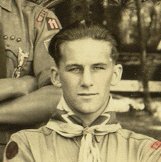 He has one son, Richard, an Eagle Scout and Camp Hinds staff member in the 60's, as well as a grandson, Mark, also an Eagle Scout. 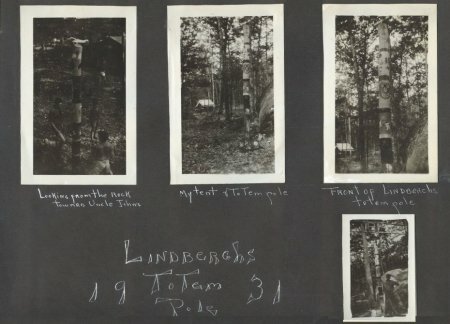 Many of the pictures on this page also appear in other sections of this website. 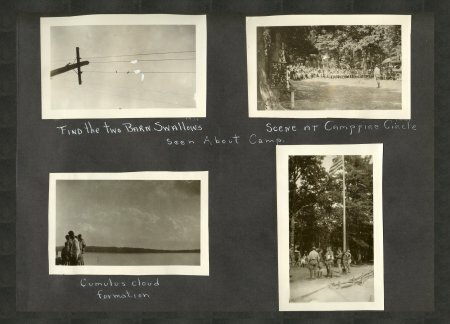 Click any page below to see it larger.